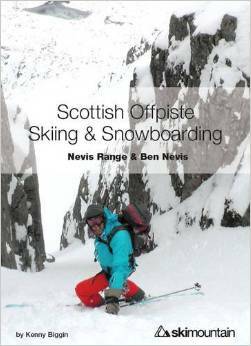 Scottish Ski Mountaineer Kenny Biggin released his guide to skiing and snowboarding for the Nevis Range and Ben Nevis last year and has just followed it up with the addition of the guide to Glencoe. 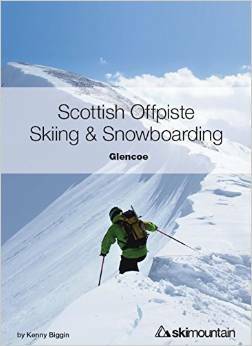 For anyone looking for some inspiration or planning a trip to Scotland then grab a copy from your local bookstore or online at Amazon: http://www.amazon.co.uk/Scottish-Offpiste-Skiing-Snowboarding-Nevis/dp/0992606500. This entry was posted in Expeditions & Trips, Skiing and tagged Backcountry skiing, British skiing, Kenny Biggin, Offpiste skiing, Scottish Offpiste Skiing and Snowboarding Glencoe, Scottish Offpiste Skiing and Snowboarding Nevis Range and Ben Nevis, Scottish Skiing and Snowboarding Guides, UK skiing by Ross Hewitt - Skiing, Climbing, Photography. Bookmark the permalink. Sounds interesting! Do you also have ski vacation tips for first timers or beginners?